Will you run Android 2.0 on your droidish device? Well, if you own a G1, a Dream or a Hero, then most probably you’re in for a nice treat! Not only can you get the Android 2.0 goodness on your smartphone, but also as recently became clear, you can even get Google Maps Navigation even outside USA. On the other hand, if you own a Motorola Droid, please just find another place to enjoy your smug grin, will you? So where were we? Ah, the Android 2.0. It turns out that after Google let their 2.0 cat out of the bag (meaning they released the complete source code), there’s no stopping the hard working devs into porting it to *unofficially* to older devices. Only hours after the source code was published, developers were already able to run it on the T-Mobile G1 – all nice and fluid. 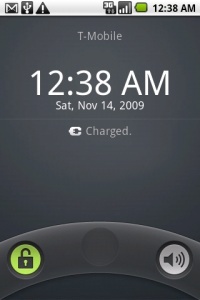 HTC Hero’s users need to be patient, because their 2.0 official upgrade is already cooking, while the rest Android handsets still count on custom ROMs. Currently Android 2.0 is available only on the Motorola MILESTONE (or DROID in the USA) and there is no word when and if it will become officially available as an upgrade to the rest Android handsets out there (except for the Hero). Still the G1 port manages quite well, except the audio/video playback. These issues of course will be fixed very soon and more cooked 2.0 ROMs will start popping up.